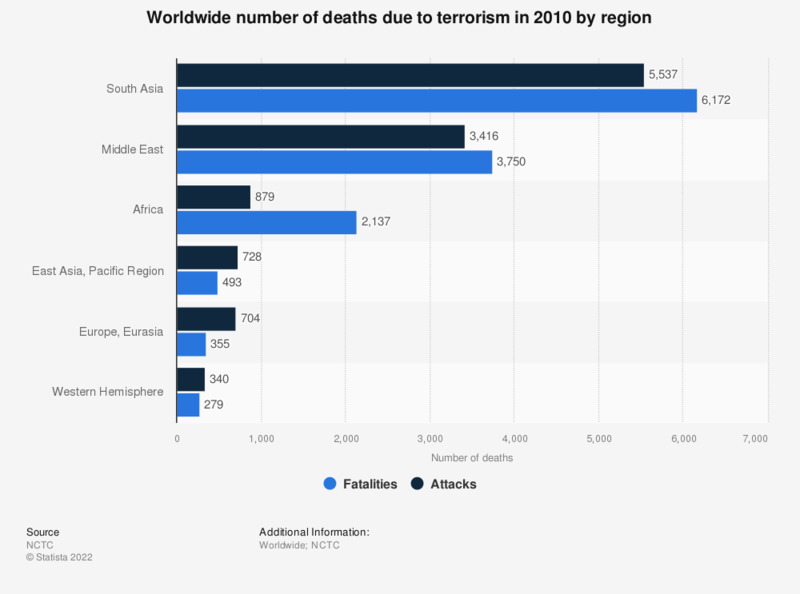 The statistic shows the number of deaths due to terrorism in 2010 by region. 2.137 people were killed in Africa. 13.186 people died in terrorist attacks in 2010.